In order to bring your cleaned and tidy house back to normal, this article will provide you with some simple tips and tricks to easily clean the house. 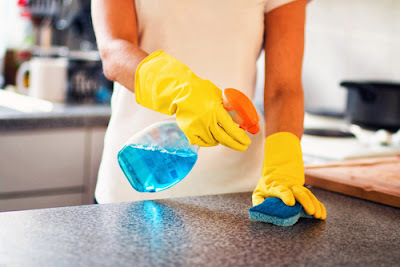 If you are planning to clean the whole house, you will find there is a lot to do and be thinking about the time you will spend in deep spring cleaning will make you tired of cleaning. Therefore, it is better to start the cleaning by checking room by room to quickly decide whether if you need to keep the things or give away or donate or throw away. It is much easier before we start the whole process and spend less time cleaning each room of the house. In bathrooms, start checking with the medicine cupboard and throw away anything that is expired or you have not used it for a long period. After that move on to the drawers and the closet to check and clean. Next, in the bedrooms, check the more visible areas to see any unwanted kinds of stuff and remove those from the bedrooms, maybe in dressers and get rid of the clothes that you have not worn in last six months, also don't forget to do the same on your shoes as well. Then move on to Kitchen and check the pantry, drawers, Fridge to check any products that are unnecessarily filled up the area and get rid of those. After removing all the unwanted clutters, now you can start your spring clean and you do not have to spend a whole day to clean your house. Since you have removed all unwanted things from each room, now you have plenty of space to walk through and it gives the area to clean your home. Always, start the cleaning from top to bottom in your house. Such as start with dusting and then wiping down the visible surface. Once the dusting is finished then do the vacuuming part to take off all the dirt. 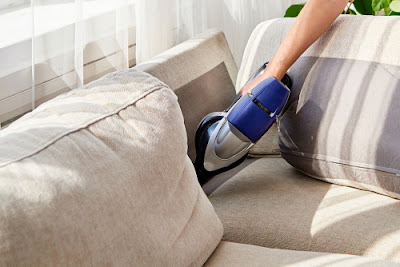 When it comes to furniture wiping and if those are fabric getting a steam cleaning done would be great for the couches. Next, for the hard surfaces use the all-purpose cleaner and wipe down with the microfiber cloth. The final cleaning will be the floors, with carpet, tile or timber floor areas, where each area needed different cleaning. When it comes to Carpets, it is better Hire a professional carpet steam cleaner, they will remove any kind of stains from your carpet. 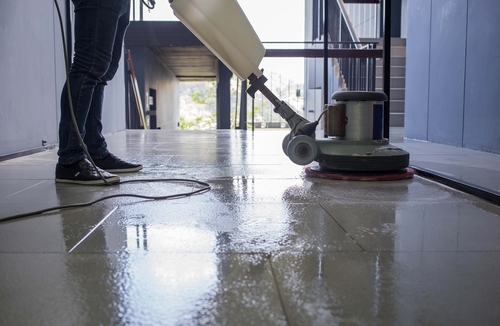 Thereafter tile and grout also needed a good cleaning, either you can clean it with a brushing the grouts with the tile cleaner and do a professional high-pressure cleaning. When it comes to timber floor, the best way to take off the dirt and bacteria is to mop the floor with hot water, where germs will be killed in the very hot water, right after mopping with the hot water, you can put a sanitizer in the water and give a final mop to the timber floor. So now the cleaning is done and final step to give a walk through the house and see how better it looks after the proper spring cleaning. By following above order would help you to ease up the cleaning and save the time for you. Most people love spring. Those of you who also do it will handle the spring cleaning process without any troubles. 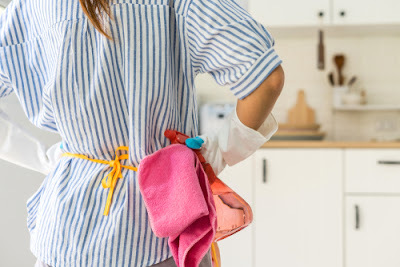 Although scrubbing the home thoroughly is not a very pleasant task, these spring cleaning tips for the shiny house are going to make it look like a child's play. Unless you are one of 'those people,' you experience at least some stress and anxiety when thinking about getting your home in the proper condition for the spring and summer months. And regardless of the size of your home, it can be hard to make sure nothing slips through the cleaning cracks. Here are a few tips on how to tackle the process this year. Obviously, your time spent in each area will depend on need. Kitchen: Dust anything hanging from walls or the ceiling - paintings, fans, etc. Remove any drapes or blinds for cleaning. Clean the oven and refrigerator, including the freezer. When attacking your stovetop, make sure to remove spill catchers and burner covers. Wipe down all small appliances - toaster, microwave, etc. Run your dishwasher at least once without dishes inside. Remove food from the cabinets and discard (or donate) items as needed. Wash the inside and re-line if necessary. Organize contents based on use. Bathrooms: Dust all fixtures and the ceiling. Wipe down and rinse shower walls. Clean as much of your toilet as you can get to. Wash the sink and counters (yes, even those nasty corners). Clean mirrors. Wash the floors and cabinets. Make sure to tackle the tile grout, if applicable. Living Room: Dust ceiling, making sure to spend time in the corners. Dust artwork, fans, etc. Remove curtains and have them cleaned. Dust lamps. Wash windows. Clear all items from storage pieces like bookshelves and entertainment centers. Dust the shelves as well as the items. Bedrooms: Replace cold weather sheets/pillowcases with ones better suited for spring and summer. Dust and clean ceilings and curtains, just as you would with the living areas. Clean floors, hunting for spots that need special attention. Dust and organize dressers and closets. You will find that there may be some aspects of the job that require outside (read: professional) assistance. Tackling older carpeting or adding laminate flooring can sometimes beyond your expertise level. In those instances, it's best to seek out a service provider on the local level. 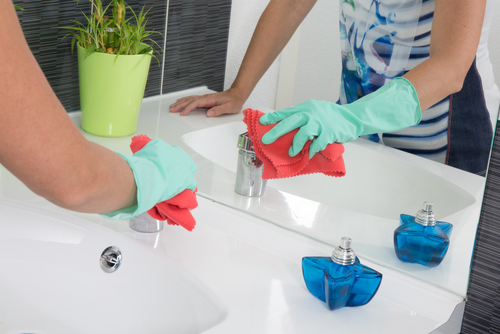 Cleaning is an activity that every individual has to engage in from time to time. Some of the areas that require regular cleaning include homes, cars, and even personal cleaning. What is important is how to conduct an effective cleaning by using the required apparatuses. 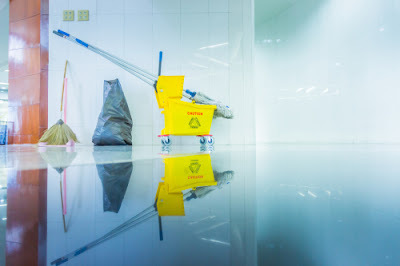 The main objective is to have to maximize the cleaning ability, by using the right equipment’s and other supplies to facilitate proper cleaning. 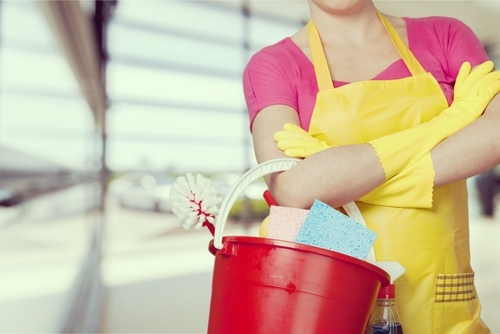 This generally helps to cut down the time and resources required for the spring-cleaning. Settling for the right cleaning apparatus’s can be a challenge to some individuals if they do not have a guide list. Typically people fail because they do not know what the right thing to get is, as it is just a matter of many brands and varieties are all available in the market. The primary procedure of realizing a proper cleaning is by first choosing the right equipment and chemicals for the job. Most professional cleaning companies have mastered the art of cleaning due to the vast experience they possess. 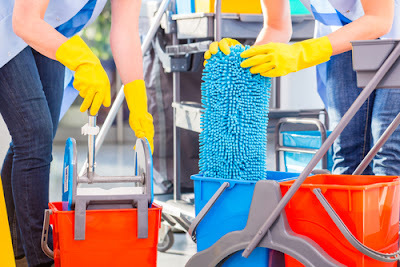 The cleaning companies have majorly invested in the training of their personnel’s, on authentic cleaning with the right equipment and supplies. Many people fail in cleaning due to wrong choices they make for the supplies and equipment for cleaning. Do not choose what you want for cleaning, but instead settle for what you need for effective cleaning. 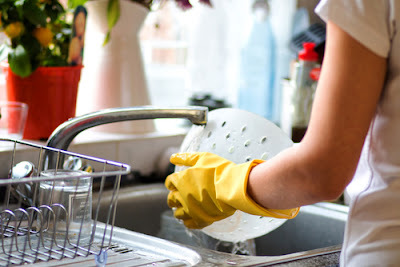 Basically, before engaging in any cleaning activity, select the items that you want to have cleaned. Is it the carpet or the seats that you want to clean regularly? Once you have decided on the items, get the right equipment to have the job done. For the carpet and the seats, you can settle for the vacuum cleaner and detergents. 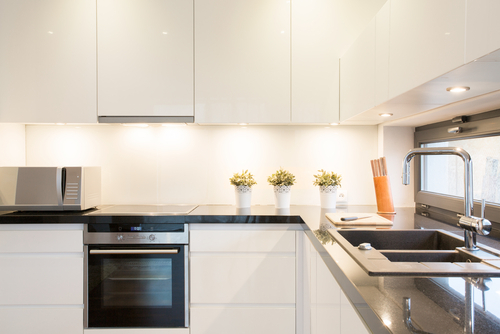 Other areas that need specified cleaning include the kitchen, bathrooms, floors, walls, and back-splash area. These are some of the critical places that need intense cleaning, agents for stain and mould remover would be necessary with proper scrubbing equipment. Each supply has a specific job. 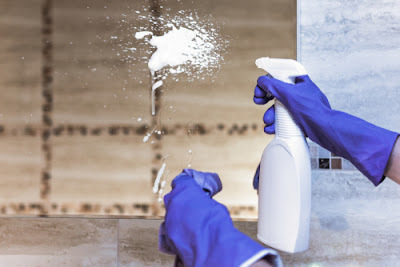 Cleaning products have a description of them in the areas where they are applicable, when shopping for your cleaning supplies, check the details to be sure to choose the right one. Always inquire from the store attendant or people around you to help you out with the product knowledge. Some of the places that can be resourceful include the internet and sites. This will help you to understand what you need to perfect your cleaning desires. Carpet cleaning equipment is one of the most expensive house cleaning tools, and they include everything in the carpet cleaning industry, both residentially and commercially. Carpet cleaning equipment is bought depending on the type of carpet cleaning you want.There are advantages and disadvantages of each of the equipment that you choose.So, make sure that you settle on the one that meets your expectations.The most common carpet cleaning equipment include rotary brush or dry foam, bonnet cleaning, extraction and self-contained carpet extraction machine, vacuum cleaning machines and finally extraction restoration machines.Vacuum cleaning is an essential part of any carpet cleaning it plays a major role in cleaning. 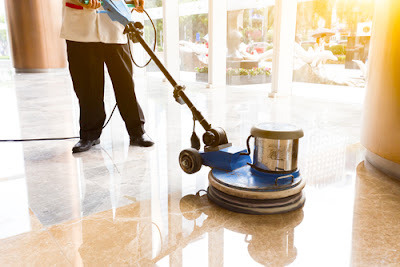 Floor cleaning is also among the common house cleaning routines.Different cleaning tools are used depending on the application.Some of the commonly used floor cleaning machines are, sweeping, scrubbing and wet dry vacuum floor machines. If you have a swimming pool in your compound and you want to keep it clean and safe then tools such as a basket, leaf net, skimmer should also be part of the pool cleaning system.Your pool needs to be clean all the time because this is one of the places that your family will spend a good time, especially during weekends. With correct equipment, methods and products window cleaning should not be a worrying task, actually is one of the easiest house cleaning task.What you only need is a good method and equipment to go about your window cleaning. The scraper blades and glass scrapers are some of the indispensables that can be made into use especially when cleaning directly those windows that directly face the road. 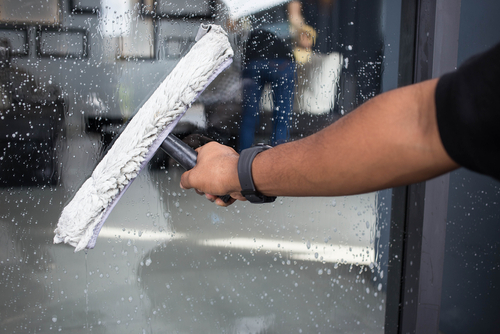 The stubbornly caked grime and dirt on the glass are usually removed with an appropriate scraper blade and skilful welding of a glass scraper. A lot of care is needed while using this device since you may end up scratching the pane while using them. The arches or and the equipment frames do vary in types and number. The best car wash usually makes into use different stages of chemical applications and pieces of equipment to make thorough cleaning of the car. Many car cleaning equipment these days are designed to eliminate or loosen dirt whether the apparatus is in-bay automatic, self-serve or tunnel and all other available cleaning solutions. The companies that use the duct cleaning equipment are found online trained to give out the best and quality services. This cleaning process should be done on an annual basis so that the areas affected stay clean and that the problem does not develop further. A large number of people never mind thinking about their air. For those with a central cooling and heating, they should ensure they have tubes to help carry the hot and cold air all through the whole of your house and coming out of the vents. Cleaning is accomplished successfully with only the right tools at your disposal. Spring cleaning is probably one of those things that no one wants to do because it's a tiring task to do. Going through all your stuff and deciding what to discard and what to can be draining. But as much as we hate it, spring cleaning can be very therapeutic and satisfying as it makes us look everything with a cleaner and brighter perspective. It's like putting your mindset on reset. Spring cleaning does not have to be stressful at all. As long as you're organized, and you have a system for clearing your clutter then there shouldn't be any problem. 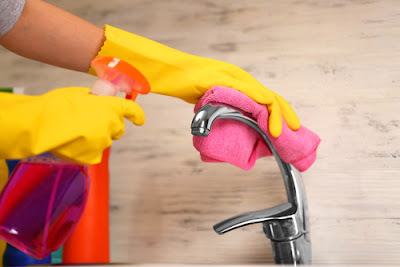 So if you have decided to spruce things up and are looking for spring cleaning tips then go on reading the article, and you will find what you want. The first thing you must do is to find the temporary storage to place the unwanted stuff there. Later you can sort out that stuff and find the suitable place for it. Your temporary storage can be anything like your storeroom, garage or any spare room. Your storeroom or garage will act the best but if you are missing it then choose a spare room from your home. Or you can lend a room of any of your family member who is out. Work room by room. It will be the best idea to select a room to start. Before you start, make your nitty-gritty. Draw your complete schedule in a way that will allow you to focus on one room at a time. It's better to involve your family members or friends in cleaning up your home. Start from top to downDon't waste your time or twice your burden by cleaning the floor first and then moving towards the ceiling. In this way, you will make the floor grubby again with the dirt and grime from the ceiling. Start from the ceiling, clean up the roof, fans, paintings and the stuff above the floor level. Now you will have all the grime and filth on the floor. Now it's time to clean this mess up. After you have cleaned all the room divert your attention back to the furniture and any decoration pieces like flowers or anything like that. 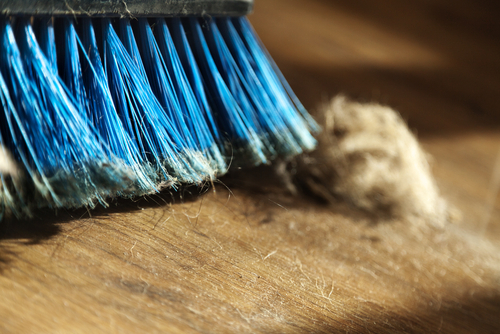 Your furniture and other stuff can get filthy again if you are using the mop. Clean them again or to avoid it you can use the vacuum cleaner. When cleaning, start from the top and work your way down to the bottom. This will make sure that all the dirt gathers in one place and you can just sweep everything up once you're done clearing out the nooks and crannies. Make sure that you have all the necessary cleaning tools for the job. This is to keep you from getting distracted from your work. Keeping all your cleaning materials together will also save you from having to look for them the next time you decide to tidy up. One of the most important spring cleaning tips around: Clean up as you go along. Instead of letting a mess build up, put things back once you are done with them. This applies to everything from magazines to plates to makeup to toys. You also get to keep track of things instead of having to scrounge around for them amidst the clutter. Make a checklist for chores starting from the most important down to the smallest tasks and have it placed somewhere visible. That way, you and everyone else in the house will have a constant reminder of the things that you have to accomplish. If everyone follows these 'house rules' then you have a lot less work to go about in the long run. Hire a skipOkay, so you have a pile of clutter that you want to throw away. But the problem is, you don't know where to store all the things that you want to discard temporarily. Hiring a skip addresses this "messy" problem. Skips are open top containers that you can rent to store things that you want to throw away temporarily. It makes clutter management more convenient as the skip hire company would also be the one in charge of discarding your stuff on the skip. Cleaning all parts of your house all at the same time is just a recipe for disaster. 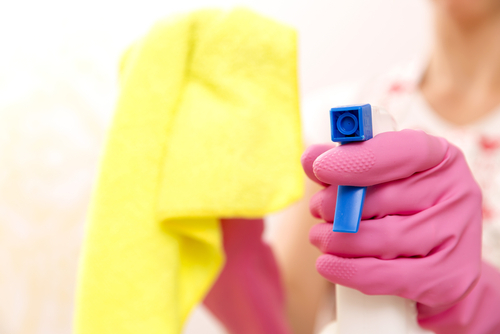 It's important to focus on one room at a time to make the cleaning process more efficient. You'll get to clean and organize all rooms to the very littlest detail if you work on them one by one. Don't leave a room until you are done the cleaning. This is a mistake that is often made. If you make excuses for yourself like not having enough tools for the task or having to start on another room right away, the only thing you'll have at the end of the day is a set of unclean rooms. Get rid of the things that you don't need. It is time to stop being sentimental and start being practical. Although there are a lot of things in your home that has memories attached to them, they cannot be more important than the people living there or your health. Put away the things that are just gathering dust. For the things that have been outgrown or no one uses anymore, give them to charity or hold a garage sale. This way, they can go to people who need them and places where they will be put to good use. Lastly, if it's broken, then throw it away. There's a reason why these things weren't fixed when they first went out of order. When tidying up, it's great to have some spring cleaning tips of your own. In case you decide to make your guide, ask other people around the house for their input. They might be able to put in something that you've overlooked or forgotten. Spring is not just weather or the start of summer. It's something that is going to make the great influence on your personality. Everything blossoms up in spring. And in this elegant environment, you, of course, don't want your home to look filthy. 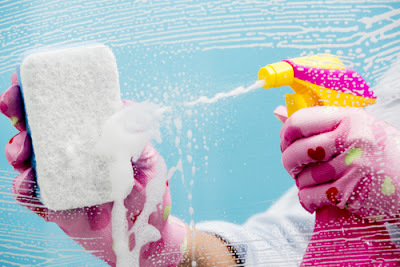 These spring cleaning tips will help you a lot in cleaning your home. 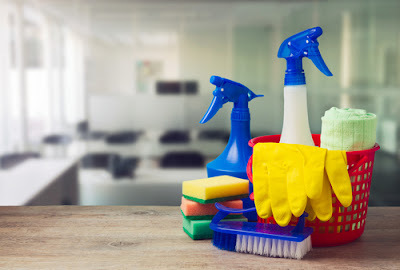 Keep in mind all of these tip to make your home sparkling when it comes to that time of year to kick your spring cleaning in gear.